Everyone should have the right to learn about the cost and quality of care before they go to the doctor or hospital. The Alliance backs that belief with its QualityCounts® work to measure and publish information on quality; provide cost estimates; identify safer care; and reward improvements. The Alliance was among the first organizations in the U.S. to produce side-by-side comparisons of hospital quality when it introduced the QualityCounts® reports and website in 1999. 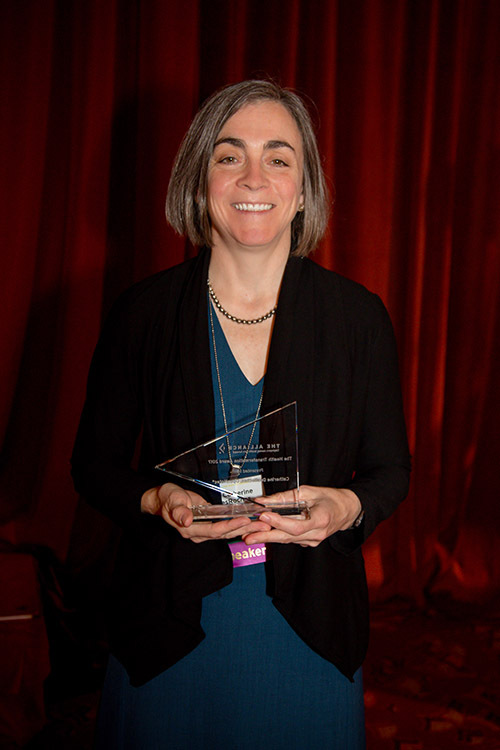 Judith Hibbard, Ph.D., University of Oregon, documented the impact of The Alliance’s early work on improving health care outcomes through research published in Health Affairs in 2005. In 2008 we made our reports available through our provider directory and released our first-ever QualityCounts® Outpatient Procedures and Tests report. The Alliance also provided outreach to people who pre-certified for select procedures and tests to alert them to the opportunity to compare costs. These efforts laid the groundwork for the Find a Doctor website that offers cost and quality information online today. Today, we continue to use the QualityCounts® approach to guide our participation in pilot projects and initiatives aimed at improving health care cost and quality. Offering the Find a Doctor website to share information about health care cost and quality with people who use The Alliance network for health care. The Alliance also shares information with other cost information services that are used by member employers. Providing cost estimates for people who use The Alliance network. Estimates for more than 50 health care procedures are available on Find a Doctor. 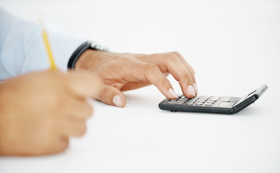 Customized cost estimates are available by calling Customer Service at 800.223.4139. Identifying high-quality, fairly priced care through QualityPath. When patients face serious surgery, the QualityPath program answers their key questions: What doctor should I use? And what hospital? QualityPath identifies doctors and hospitals that meet or exceed national quality standards and implement clinical processes shown to improve care. Patients who use QualityPath pay lower out-of-pocket costs – sometimes nothing – and get personal assistance from a patient experience manager. Helping businesses guide people to better value care. The Alliance offers resources to help employees design benefit plans that guide people to care based on cost and quality. We assist employers in creating “steerage” programs that add value to benefit plans and provide incentives for better choices. 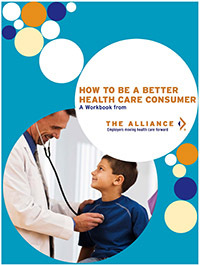 The Alliance also brings its “How to Be A Better Health Care Consumer” presentation to the workplace and makes the related workbook available for employers to distribute. Using pay-for-performance contracts that reward high-performing doctors and hospitals. Introduced in 2004, performance-based reimbursement rewards providers for high-quality care and better outcomes while creating incentives to improve performance. 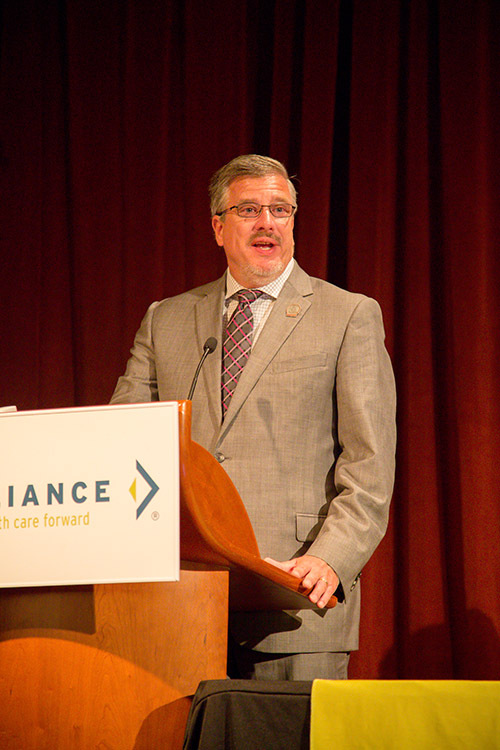 Today, roughly two-thirds of Alliance charges are part of a contract that offers incentives for better care. Supporting The Leapfrog Group’s effort to improve patient safety. 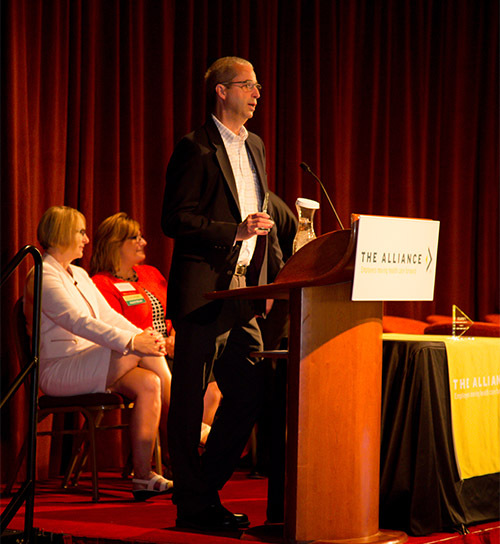 The Alliance is a Regional Roll-Out Partner for Leapfrog in Wisconsin, but we also keep an eye on data for Illinois and Iowa because our network is used by employers who self-fund their health benefits in all three states. Leapfrog’s Hospital Safety Score gives hospitals A to F grades that are shared on the Find a Doctor website. 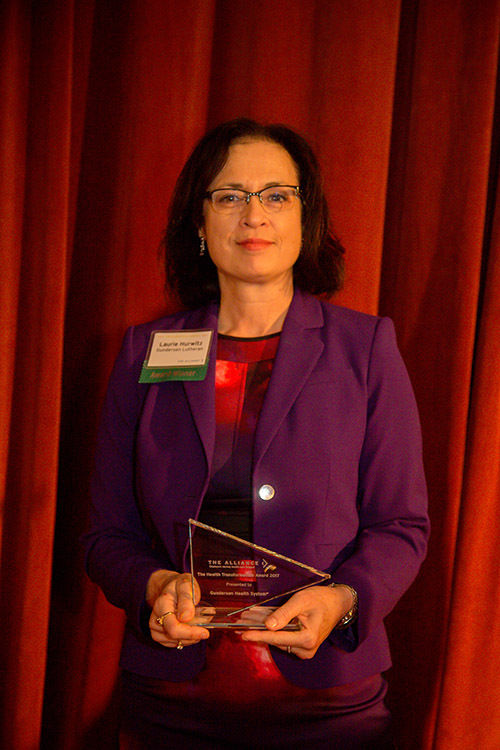 Serving as a key contributor to regional and national measurement and reporting initiatives that include the National Quality Forum, the Wisconsin Collaborative for Healthcare Quality, the Wisconsin Health Information Organization, the State Value Committee and the Measure Applications Partnership. 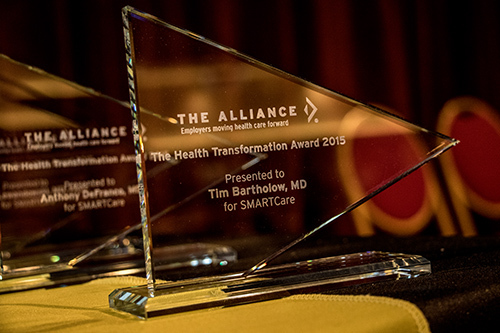 Creating Health Transformation Awards to recognize other leaders in efforts to improve health care cost and quality. Get answers to your health care questions. Find out what health care costs. Check the quality of a doctor, hospital or clinic before you get care. Understand what clinical processes will be used to guide your care. Learn what financial influences shape the process. The Alliance will continue to be an advocate for access to information that makes health care transparent for everyone who gets it, gives it or helps pay for it. 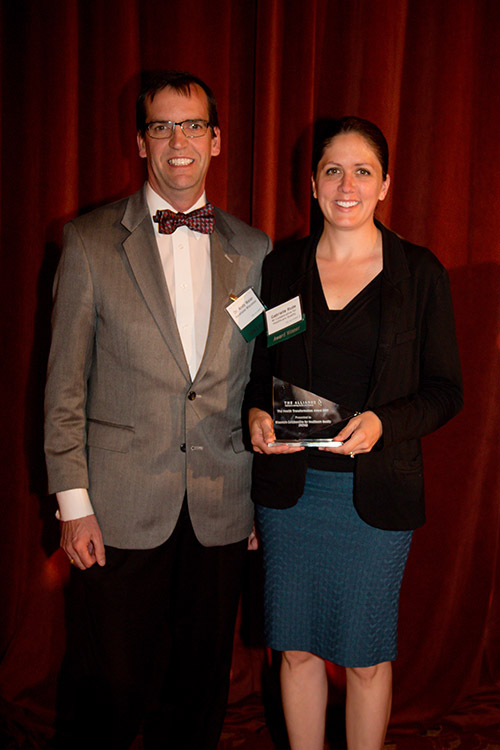 This effort is a vital part of The Alliance mission and Plank One of our health policy advocacy platform. While promoting transparency is a work in progress, The Alliance intends to continue to move forward with QualityCounts® initiatives that help people and businesses use quality and cost information to create a better way to buy health care.